ISATAP | Richard M. Hicks Consulting, Inc. Note: The issue described in this article has been resolved in Windows 10 version 1703 (Creators Update). Making these changes is no longer required after installing the Creators Update release of Windows 10. For organizations that have implemented DirectAccess manage out using the Intrasite Automatic Tunnel Addressing Protocol (ISATAP), you may find connecting to remote DirectAccess clients by hostname using Windows 10 or Windows Server 2016 fails. Connections to remote DirectAccess clients using Windows 7, Windows 8.x, Windows Server 2008/2008R2, and Windows Server 2012/2012R2 work without issue. On a Windows 10 or Windows Server 2016 host configured to use ISATAP for DirectAccess manage out, the remote DirectAccess client resolves to an IPv6 address correctly. In addition, a route to the DirectAccess client’s IPv6 prefix is also present in the routing table. Nevertheless, attempts to connect to the remote DirectAccess client by name fail. The DirectAccess client is reachable by its IPv6 address, however. There is a known issue with Windows 10 and Windows Server 2016 DNS client that prevents manage out using ISATAP on these operating systems from working correctly. A while back I wrote about implementing some registry entries as a workaround for this issue on Windows 10. Recently, Karsten Hentrup brought another effective workaround to my attention that also involves adding a registry entry on the ISATAP client machine. This method is preferred as it requires only one registry entry and does not adversely affect existing DNS operation. To make this change, on each machine that requires DirectAccess manage out functionality open an elevated PowerShell command window and run the following command. When using ISATAP, ensure that this workaround is implemented on any Windows 10 or Windows Server 2016 machine that will require manage out functionality to remote DirectAccess clients. For DirectAccess manage out deployments using ISATAP, you may encounter a scenario in which you are unable to initiate outbound connections to connected DirectAccess clients from a Windows 10 computer. Outbound connections using ISATAP from Windows 7, Windows 8, Windows Server 2008/R2, or Windows Server 2012/R2 systems work without issue. Once these registry changes have been made, you should now be able to use ISATAP for DirectAccess manage out connections from a Windows 10 machine. 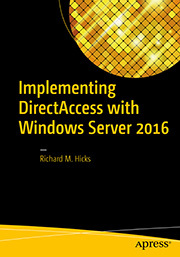 For DirectAccess manage out scenarios, it is necessary to configure the Windows firewall on the DirectAccess client to allow any required inbound communication from the corporate network. For example, if management hosts on the internal network need to initiate Remote Desktop sessions with remote connected DirectAccess clients, the Remote Desktop – User Mode (TCP-In) Windows firewall rule will need to be enabled for the Public and Private profiles. While enabling this rule will allow remote desktop connections to be made from the corporate network, its default configuration will also accept remote desktop connections from any network. From a security perspective this is not desirable. 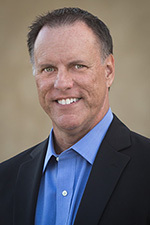 A better solution is to restrict access to connections originating only from the corporate network. To do this it will be necessary to identify the ISATAP prefix used internally. To determine the corporate ISATAP prefix, run the ipconfig command on a management workstation that is configured for ISATAP. The ISATAP prefix will be the first 96 bits of the IPv6 address assigned to the ISATAP tunnel adapter (essentially everything with the exception of the embedded IPv4 address). On the DirectAccess client, right-click the firewall rule and choose Properties. Choose the Scope tab and then select These IP addresses . Click Add and then enter the ISATAP prefix as shown here. Once the firewall rule is configured to restrict access to the ISATAP prefix, only corporate management workstations on the internal network will have access to remote DirectAccess clients. 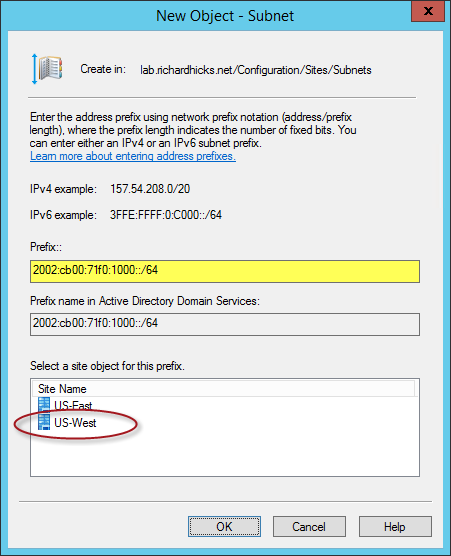 When deploying Windows Server 2012 R2 DirectAccess I’m often asked which Active Directory (AD) site a client is associated with when it establishes DirectAccess connectivity. The answer depends on the client’s operating system. Windows 8.x and later clients automatically associate themselves with the site to which the DirectAccess server they are connected to belongs. Windows 7 clients lack this capability, and depending on current AD configuration, Windows 7 clients may associate with an incorrect site. This can lead to potential problems such as slow logon times and mapped drive failures. To address this issue it is important to configure IP subnets in AD for DirectAccess clients to eliminate any potential problems. In this article I’ll demonstrate how to create IP subnets in AD and how to identify IPv6 subnets used by DirectAccess clients. Configuring IP subnets in AD is relatively straightforward. In the Active Directory Sites and Services management console, right-click Subnets and choose New Subnet. Enter the IP subnet prefix and select the AD site where the DirectAccess server for this subnet resides. To configure AD IP subnets for DirectAccess clients, it will be necessary to identify all potential IP subnets that may be in use. IP subnets used by DirectAccess clients depend on the IPv6 transition protocols supported by the DirectAccess configuration. 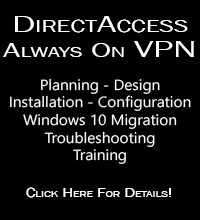 DirectAccess supports 6to4, Teredo, and IP-HTTPS for client to server communication, and the Intrasite Automatic Tunnel Addressing Protocol (ISATAP) for manage-out connectivity. Any or all of these protocols may be used for a particular DirectAccess configuration. 6to4 – Supported if the DirectAccess server is edge-facing with a public IPv4 address assigned to its external network interface. Teredo – Supported if the DirectAccess server is edge-facing with two consecutive public IPv4 addresses assigned to its external network interface. IP-HTTPS – Supported in all deployment scenarios, and is used exclusively if the DirectAccess server is located behind a NAT device in a perimeter or DMZ network. ISATAP – Optionally used when manage out is enabled and configured. IP subnets should be configured in AD for all IPv6 transition protocols supported for the DirectAccess deployment. Note: Information for the 6to4 protocol is provided here for completeness. However, it is generally recommended that 6to4 be disabled for DirectAccess deployments, making this configuration unnecessary. More information about disabling 6to4 can be found here. The 6to4 IPv6 transition protocol is only supported when the DirectAccess server is edge-facing with a public IPv4 address assigned to its external network interface. 6to4 IPv6 addresses are assigned using the 2002::/16 prefix. For single site DirectAccess deployments, an administrator should create an IP subnet in AD using this prefix and assign it to the AD site where the DirectAccess server resides. If public IPv4 addressing is used internally and the 6to4 transition protocol has not been disabled, it is essential that more specific IP subnets for internal 6to4 clients also be configured. The 6to4 IPv6 transition protocol presents a challenge for multisite DirectAccess deployments. When a client creates a 6to4 IPv6 address, it appends the 2002::/16 prefix with its public IPv4 address represented in hexadecimal using the form WWXX:YYZZ::WWXX:YYZZ. For example, if the DirectAccess client’s public IPv4 address is 198.51.100.83, its 6to4 address would be 2002:c633:6453::c633:6453. Since this IPv6 address is created using only the client’s IPv4 address, there is no way to associate the client to a specific entry point. This is one of the reasons why 6to4 is not recommended for use in DirectAccess deployments. If you must support the 6to4 IPv6 transition protocol in a multisite configuration, assign the 2002::/16 IP subnet to the most centrally located AD site. The Teredo IPv6 transition protocol is only supported when the DirectAccess server is edge facing with two consecutive public IPv4 addresses assigned to its external network interface. Teredo IPv6 addresses begin with 2001: followed by the primary public IPv4 address (represented in hexadecimal) of the DirectAccess server. For example, if the DirectAccess server’s primary public IPv4 address is 203.0.113.240, the DirectAccess client will be assigned a Teredo IPv6 address using the 2001:cb00:71f0::/48 prefix. An administrator should create an IP subnet in AD using this prefix and assign it to the AD site where the DirectAccess server resides. 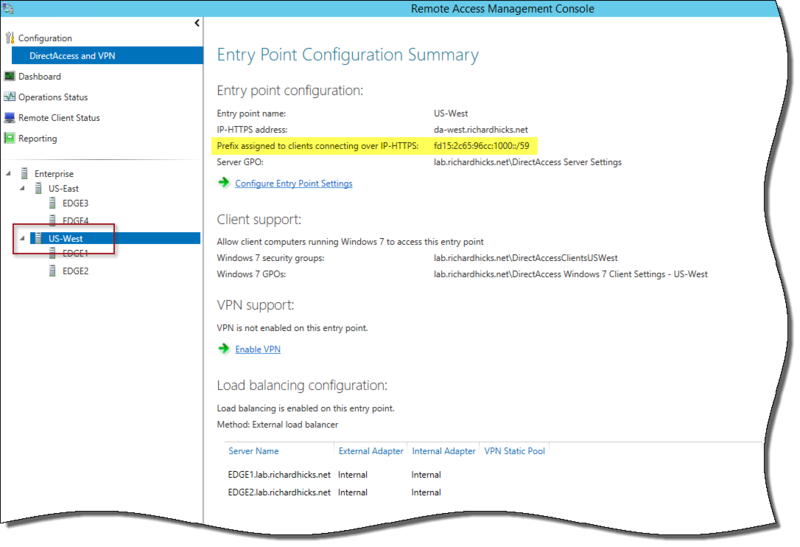 For multisite deployments, repeat these steps for each DirectAccess entry point. The IP-HTTPS IPv6 transition protocol is supported in all DirectAccess configurations and its IPv6 subnet should always be assigned to an AD site. The IP-HTTPS IPv6 prefix assignment differs between single site and multisite deployments. For multisite deployments, a unique /64 IPv6 subnet is assigned to single node entry points. If load balancing is enabled, a /59 IPv6 subnet is assigned to the entry point, and each server within the entry point is assigned a /64 prefix for DirectAccess clients. To identify the IPv6 prefixes for each entry point, highlight DirectAccess and VPN below the Configuration node in the Remote Access Management console, and then select the DirectAccess entry point. For edge facing deployments with a public IPv4 address assigned to the external network interface, the IPv6 prefix assigned to DirectAccess clients is from the 2002::/16 globally unique address (GUA) range. If the DirectAccess server is configured using a private IPv4 address with a single network interface or with two network interfaces behind a NAT, the IPv6 prefix assigned to DirectAccess clients will be from the fd00::/8 unique local address (ULA) range. An administrator should create an IP subnet in AD using this prefix and assign it to the AD site where the DirectAccess server resides. Note: Uninstalling and reinstalling DirectAccess will result in a new IP-HTTPS network ID being created. If these changes are made, be sure to update AD IP subnets accordingly. Although this article focuses primarily on the IPv6 subnets used by remote DirectAccess clients, it is also important not to overlook AD IP subnet configuration for internal clients if ISATAP is configured for manage out. IP subnets used by ISATAP clients vary depending on the network configuration of the DirectAccess server. For edge deployments, ISATAP addresses are assigned from the 2002::/16 GUA range. This is appended with the public IPv4 address of the DirectAccess server in hexadecimal using the form WWXX:YYZZ:1:0:5efe and the IPv4 address of the ISTAP client in familiar dotted-decimal notation. For example, if the DirectAccess server’s primary public IPv4 address is 203.0.113.240 and the client’s IP address is 172.16.1.77, the DirectAccess client will be assigned the ISATAP address 2002:cb00:71f0:1:0:5efe:172.16.1.77. The subnet to be created by the administrator in AD will then be 2002:cb00:71f0:1:0:5efe::/96 plus the IPv4 network prefix. For example, if the client’s IP address uses a /24 prefix, the AD IP subnet would be configured using 2002:cb00:71f0:1:0:5efe:172.16.1.0/120. This IP subnet should be assigned to the same site where the corresponding IPv4 subnet is assigned. For perimeter/DMZ deployments, ISATAP addresses are assigned randomly from the fd00::/8 ULA range and begin with fdXX:XXXX:XXXX:1:0:5efe followed by the IPv4 address of the ISTAP client in dotted-decimal notation. For example, if the DirectAccess client’s IP address is 172.16.1.77, its ISATAP address might look like fdca:3ce5:b0a:1:0:5efe:172.16.1.77. The subnet to be created by the administrator in AD will then be fdca:3ce5:b0a:1:0:5efe::/96 plus the IPv4 network prefix. If the clients’ IP address uses a /24 prefix, the AD IP subnet would be configured using fdca:3ce5:b0a:1:0:5efe:172.16.1.0/120. This IP subnet should be assigned to the same site where the corresponding IPv4 subnet is assigned. The configuration of Active Directory IP subnets for DirectAccess clients is an often overlooked aspect of DirectAccess deployments. Proper IP subnet mapping to AD sites is critical, especially for large enterprise deployments with complex networks spanning multiple physical locations. It ensures that Windows 7 DirectAccess clients communicate with the closest AD domain controller when they establish a DirectAccess connection, which can eliminate potential issues. In addition, it is recommended to disable 6to4 for DirectAccess clients to avoid the pitfalls that come with the use of this IPv6 transition protocol. Also, don’t forget to configure IP subnets for any internal clients that use ISATAP for manage out.